DNA testing is the new frontier of genealogy research, offering opportunities not only to break through those pesky “brick walls” but also to gain a glimpse into our deep histories dating back tens of thousands of years. With that in mind, we recently decided to give DNA testing a go and have been very pleased with the results. There are several reputable companies out there today, and we chose Family Tree DNA (FTDNA). Among the different tests available are the Y-DNA (direct male line), MtDNA (direct female line), and autosomal. The autosomal in particular is a newer test that looks at the DNA of all ancestors “in-between” the direct male and direct female lines going back as far as 5-6 generations. In addition to identifying DNA types and where our ancestors came from, the site identifies medium to closely matched individuals, enabling correspondence and the ability to share information. One gracious male member of our Miranda family decided to take all three of these tests, and the results are below. 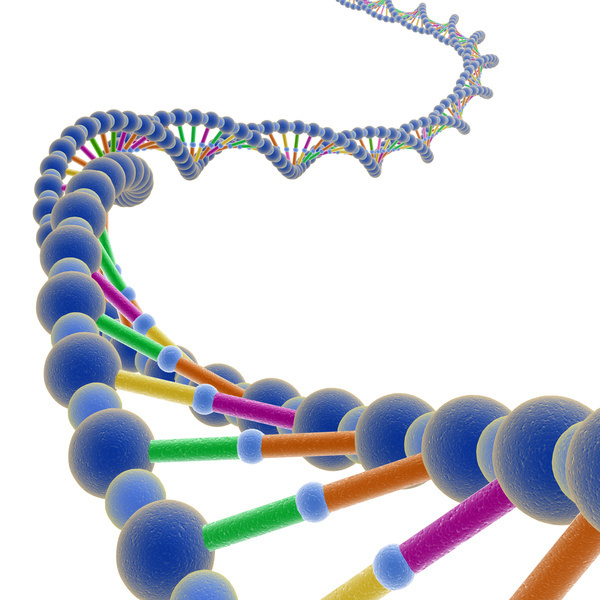 Y-DNA measures the genetic markers along the direct male line (father’s father’s father’s father, etc). This test is only available to males. Our gracious volunteer chose to take the DNA-111 test, which measures 111 chromosomes. The initial result of the test placed our volunteer within the P312 clade, which according to the FTDNA website “is the most common Y chromosome clade of paternal lineages across Western Europe.” Outside of the United States, the majority of others who tested positive for P312 are currently located in Central Europe, Spain, France, Portugal, and the British Isles, with smaller numbers in other European nations. The map below show red dots indicating where other P312s live in Europe. After receiving the initial results, a Y-DNA genetic cousin who shared 106 of 111 markers contacted us and convinced our volunteer to test further down the P312 family for a relatively new subclade, known as DF99, for which the he tested positive. As new subclades have been “discovered,” eventually our volunteer tested positive for R-FGC16979, which is still so new that information regarding its origins continue to be gathered. From reading several community forums discussing R-FGC16979, it appears that the originator of the clade probably lived some 4,500 years ago, which would have been right in the middle of the Bronze Age. The map of Europe below shows the current location of the few tested R-FGC16979 (red dots), which are located in the United Kingdom and Belgium. R-FGC16979 has already been subdivided into a few other subclades, which have only recently become available. It is possible that our volunteer could test positive for one of these subclades in the near future. So how about our personal family results from the Y-DNA test? Initially the results surprised us because as per oral tradition our earliest known male Miranda ancestor was a full-blooded Yaqui Indian. Therefore the notion that our direct male line traced back to an area in present-day Belgium was shocking. The testing therefore was extremely beneficial in helping us direct our research. The site also matched us up within one genetic marker with several other individuals – being only one genetic marker apart could potentially mean sharing the same direct male line ancestor going back between 6-8 generations. The first obvious thing about the results was that all our volunteer’s genetic matches shared the same last name – Fimbres. This was initially shocking because no member of our family had ever heard of the surname Fimbres before the test! And yet, the results helped explain why we had hit a “brick wall” in tracing the Miranda line further back than we already had and has helped direct our research in a new direction in consultation with our new genetic cousins. As such the Y-111 DNA test was instrumental in moving our research forward in a new and exciting way. The MtDNA exam measures the genetic markers along the direct female line (mother’s mother’s mother’s mother, etc). This test is available to both females and males. The results of the test placed our volunteer in the A2-C64T haplogroup, which is one of the main Native American haplogroups. According to the FTDNA website, “Haplogroup A is found in eastern Eurasia and throughout the Americas. This haplogroup was present in the populations that initially colonized the pre-Columbian Americas, and dates to at least 30,000 years ago.” This result did not really surprise us. Many Latin Americans have maternal Native American genes as the initial Spanish settlers were almost entirely men who later mated with Native American females, resulting in the large Mestizo population that currently exists in much of the Americas. So far there has only been one match found that shares a similar result. See below for a map that traces the migration of the A haplogroup from Siberia, through North and eventually into South America over a 30,000 year period. The results are largely consistent with many Latin Americans, demonstrating the strong mixtures of European (primarily from the Iberian peninsula) and New World indigenous populations. Our volunteer’s results have certainly changed: gone is the significant North African blood, replaced by Ashkenazi Jewish and sub-Saharan African markers. In a way these updates have been reassuring as they confirm findings based on paper records, particularly the Ashkenazi markers and their primary location in Poland, where we believe our Sprinz ancestor originated. In short, we have found that DNA testing has been very helpful in breaking down some of our research “brick walls,” teaching us about our ethnic breakdown, and connecting us to more distant genetic cousins! Wow, that’s very cool. We’ve only had one other person contact us with the same haplogroup. Interesting as well that your family is from Colombia. My paternal grandmother was from Northern Mexico, but that’s really all we know at this point. Let’s stay in touch and see what pops up! Just found out my mtDNA haplogroup is A2-C64T-T16111C!, both parents are from Colombia (Although I am now a British citizen). Apparently I am missing the 16111 mutation, so its become more difficult to define me I guess. I recall Roberta Estes telling me that I might even be a new branch of A4 or something like that due to some of the mutations. My uncle tested in this haplogroup for mitochondrial dna as well. His mother was from Cuba. Fascinating – So far, in this discussion alone, we have Mexico, Cuba, Colombia and Peru! So does anyone have a bit more information on this haplogroup? My family’s female line goes back to Mexico (likely Coahuila State around the late 1700s, but we cannot get back far enough to gather additional details. Would love to learn more! My dad also tested A2-T16111C! mtDNA and he was born in Cuba. Hi! I am also in the same haplogroup a2-c64t and I was born in Nicaragua. Adopted, so I don’t know much else! My native percentage is 80%. Hi! I’m also A2-C64T-T16111C! I’m from Brasil and my family’s female line goes do Rio de Janeiro. My husband’s mtDNA haplogroup is also A2-C64T. They are Acadians from New Brunswick. The family tree research I did shows that they have quite a bit of Micmac ancestors, one of the Eastern Canadian First Nations people. That’s now backed up by the DNA results, including this haplogroup type. CoolAcadia, thanks for your comment. That’s the first time I’ve seen a match from that part of North America – how exciting. Most have come from the Southwestern United States or the desert regions of Northern Mexico. It will be very interesting as the results become even more refined.